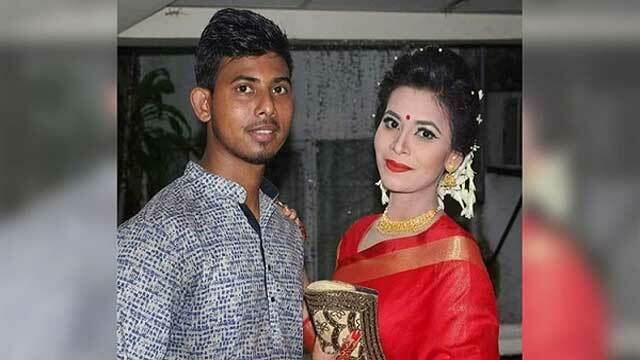 Mymensingh, Aug 26 (Just News): Bangladesh national team cricketer Mosaddek Hossain has been sued allegedly for torturing his wife for dowry. Samira Begum filed a case against Mosaddek and his mother Parul Begum in this regard with additional chief judicial magistrate court in the district on Sunday. The lawyer said judge Rozina Khan's court directed the district women affairs official to look into the matter. According to the case statement, on 15 August, Mosaddek and his mother assaulted Samira and the family demanded Tk 1 million as dowry. She was then sent back to his father’s house as her family failed to pay the dowry money. Samira’s bother Zakaria said that the case was filed against Mosaddek as he tortured his sister demanding dowry.